RoadSafe is the sole owner of the information collected on this website. 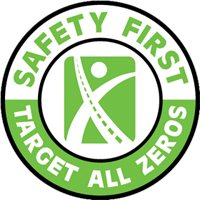 RoadSafe only has access to or collect information that you voluntarily give provide via email, the website’s browser-based contact forms or other direct contact from you. We will not sell or lease your information to anyone. RoadSafe will use your information to respond to you regarding any reason you have contacted the company. In order to address your communication, RoadSafe may share your information with third parties if necessary. If you are a customer and have been given a customer log-in username and password, you may be required to complete a registration form during your initial log-in. During registration, you are required to give certain information (such as name and email address). RoadSafe will not sell or lease this information to anyone. From time-to-time, the website will request information via surveys or polls. Participation in these surveys or polls is completely voluntary. Information requested may include contact information (such as name, phone number and email address), and demographic information (such as ZIP code). Survey and poll information will be used for purposes of monitoring or improving the use and satisfaction of this website. This website contains links to other websites. Please be aware that RoadSafe is not responsible for the content or privacy practices of such other sites. RoadSafe encourages this website’s users to be aware of when they leave this website and to read the privacy statements of any other website that collects personally identifiable information. THIS WEBSITE AND ITS CONTENT ARE PROVIDED “AS IS” AND ROADSAFE EXCLUDES TO THE FULLEST EXTENT PERMITTED BY APPLICABLE LAW ANY WARRANTY, EXPRESS OR IMPLIED, INCLUDING, WITHOUT LIMITATION, ANY IMPLIED WARRANTIES OF MERCHANTABILITY, SATISFACTORY QUALITY OR FITNESS FOR A PARTICULAR PURPOSE. THE FUNCTIONS EMBODIED ON, OR IN THE MATERIALS OF, THIS WEBSITE ARE NOT WARRANTED TO BE UNINTERRUPTED OR WITHOUT ERROR. YOU, NOT ROADSAFE, ASSUME THE ENTIRE COST OF ALL NECESSARY SERVICING, REPAIR OR CORRECTION DUE TO YOUR USE OF THIS WEBSITE. RoadSafe uses reasonable efforts to ensure the accuracy, correctness and reliability of the content, but we make no representations or warranties as to the content’s accuracy, correctness or reliability. RoadSafe takes precautions to protect your information. If you submit sensitive information via the website, RoadSafe strives to protect your information both online and offline. Only employees who need the information to perform a specific job are granted access to personally identifiable information.